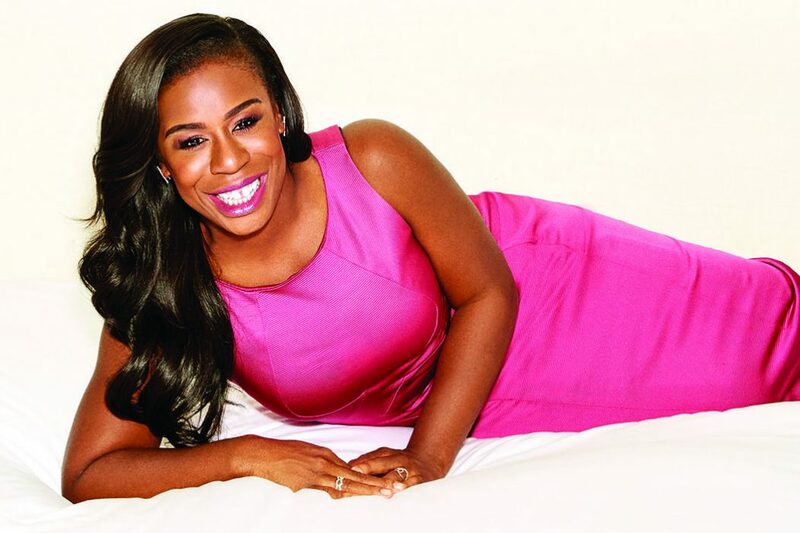 Her best-known character is locked up, but actress Uzo Aduba’s career knows no bounds. A half dozen thoughts raced through my mind in the few seconds it took for the café door to swing open and two women in their late teens/early 20s to eagerly approach our table. I had been interviewing Netflix’s Orange Is the New Black standout Uzo Aduba for more than an hour, and her warm, friendly demeanor made me forget that I was spending the afternoon with a bona fide, multiple-award-winning star of stage and screen. The adulation that followed sharpened my focus. “I’m sorry to interrupt but I just had to meet you,” said one of the excited young women, who then turned and gave me a quick “I’m sorry” before adjusting her focus back to Aduba and telling her how “obsessed” she is with her OITNB character, Suzanne “Crazy Eyes” Warren. “You are such an incredible actress,” she continued, after which her friend chimed in with “You are my favorite on the show,” among other accolades. Aduba could not have been more gracious, asking them where they were from (Houston) and thanking them for taking the time to say hello. After a couple of photographs, the pleased-as-punch duo was on their way and now Aduba was apologizing to me. Several patrons, who waited until Aduba was ready to leave before approaching, confirmed her contention by heaping praise on the actress and singer (she was a voice major at BU, has sung on Broadway and was cast as Glinda the Good Witch in last year’s NBC production of The Wiz Live!). One college student from Paris said he only had enough money to see one show in London and it was going to be The Maids—even though he didn’t know much about it—solely to see Aduba perform live. During our interview, Aduba talked about a variety of subjects, including the dark, dialogue-heavy play in which she is cast as one of two maids who fantasize about killing their employer. 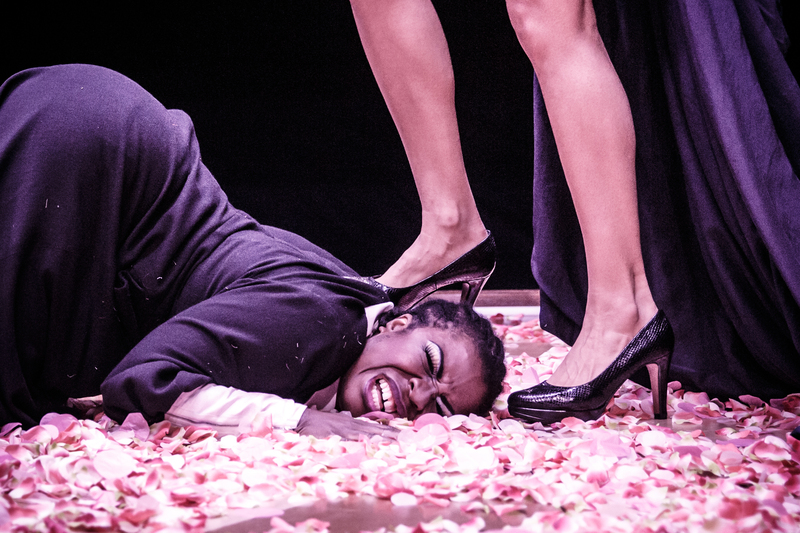 I saw The Maids last night and it is one intense play. I couldn’t help but wonder how you remember all those lines. It’s not only that there are a lot of lines, it’s that they’re so dense. To get the “floetry”—the flow and the poetry—you really have to remember it specifically as it’s written and not make up your own version if you really want to make it sing at its best pitch. We would rehearse eight-hour days, but on top of that, I would stay after rehearsal with our associate director, Jess Edwards, who is phenomenal and so generous with her time. Do you ever have a senior moment when you completely forget your line? That is going to happen regardless of the play. I’m sure you’ve heard it said by actors that they’re so grateful to their fellow actors. I’m lucky in that I have not yet had the experience where my fellow actor has left me hanging out to dry [laughs]. This play is a heavy lift. There’s one stretch where I’m up there for an hour and 15 minutes talking to another person. You don’t have the wonderful relief of [a film] cut or being able to do another take. Last night was a take. And you do another take the next day. You have to be constantly present and awake and aware and in the moment and listening. What is it about this play and the role of Solange in particular that spoke to you? 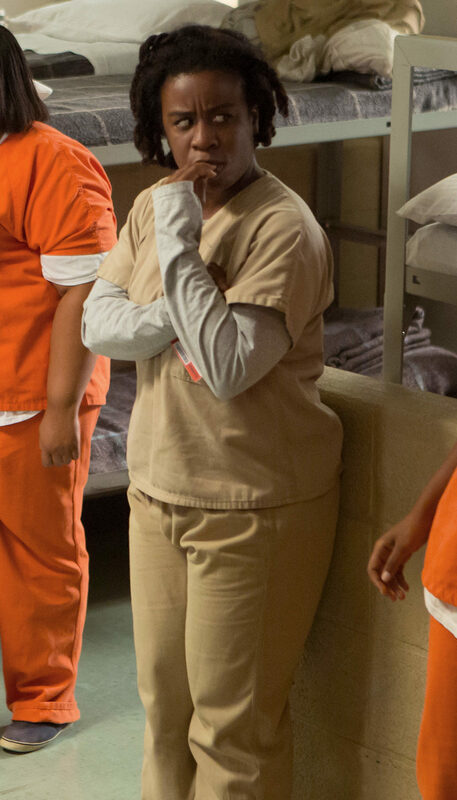 Aduba in character as Suzanne “Crazy Eyes” Warren in Orange Is the New Black. I think a couple of things. The fact that this play falls entirely on the shoulders of women was exciting to me as was the fact that the characters are comprised of really complicated, entirely different women who are seeking something, pursuing their own freedoms. This play was not written as a modern piece. It’s more than 60 years old, and doing something that explores the female psyche in such an intricate way from that time challenges its actors to endure. Do you see any similarities between Solange and Suzanne from OITNB? I don’t personally, in terms of who they are, find them to be similar. I think they’re different people. I think their closest comparison is that they are both intensely passionate people, and when that passion is ignited, it’s on full blast. Are you enjoying living in London? I’ve been to London before, but this is my first time ever living here. I feel like if New York and Boston had a child, it would be called London. 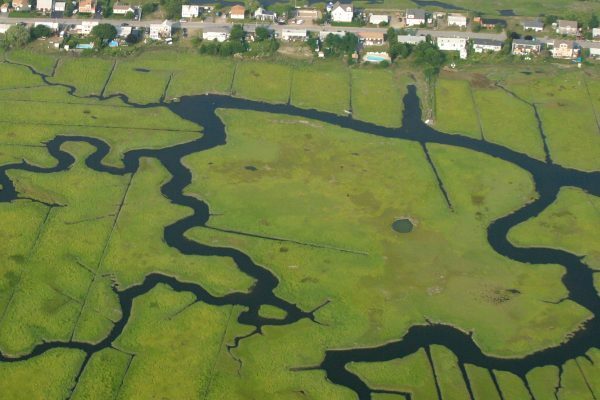 It’s bigger than Boston and has a pace that is New York. It has much of Boston’s charm and makes me think, Am I in the North End or am I in Covent Garden? What is it about theater that you enjoy so much? How much time do you have [laughs]? I love how alive it is. I love the opportunity to tell stories in their entirety in one shot. That’s exciting because, like I said before, you don’t get another take. It just makes me so happy to be in that space, to feel that life. You hear yourself and everybody on stage—along with the entire audience—and you can feel the collective of people breathing together, living together, as one. It’s never going to be that way again. It’s only going to live that way, like that, that one night. That’s it. Did you go to the theater as a child? I did. 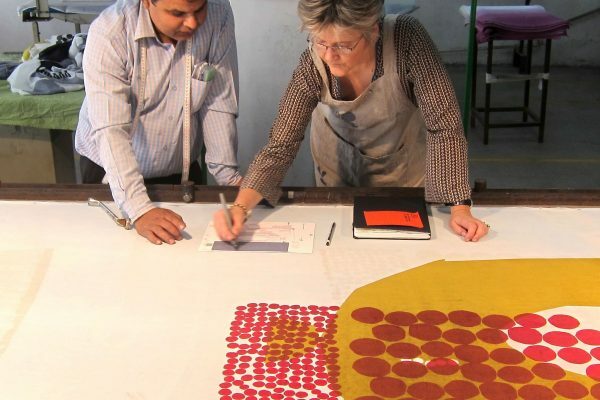 My parents aren’t artists themselves, but they are art lovers—particularly my mom. She loves the arts. She always says if she had been born in this country [Aduba’s parents are from Nigeria], she probably would have been a painter or something in the arts. We went to the theater and also to ballets and operas. I remember seeing Rent in Boston when I was about 15 and, I didn’t have a name for it, but I remember thinking, “Whatever this is, I’d love to do it.” I always thought I was going to be a lawyer because my parents had always said I was going to be one. You were ready to quit acting when one phone call, on September 14, 2012, changed your mind. What happened? I was at a point where, for the first time since I had started working, I truly, in my heart of hearts, decided to quit acting and I was really…I won’t say at peace with it, but I resolved myself to that truth. It was on that very day when I made that decision that I got Orange Is the New Black. I know for sure now that no one should ever quit on their dream, no matter how impossible it seems. That’s what I learned that day. I couldn’t have gotten a better, stronger sign to tell me to stick with it. I’m so curious to know what there still is for me to do. 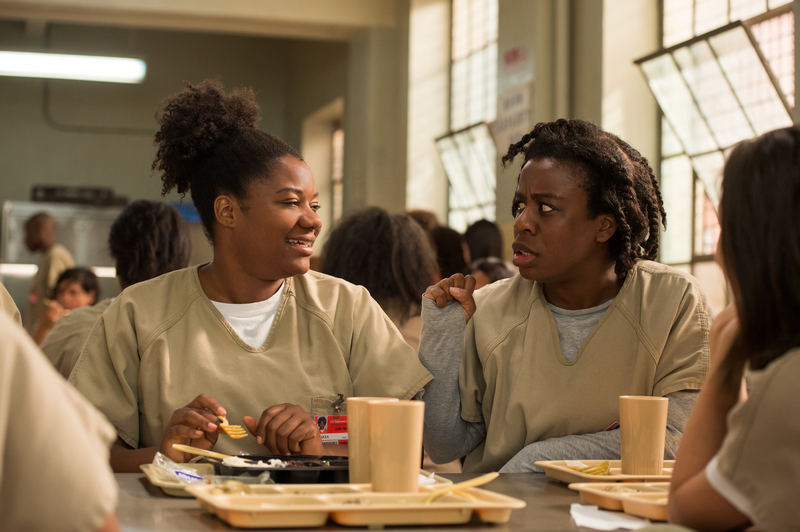 What can OITNB fans look forward to this season? Jenji [Kohan, the show’s creator] is right on trend. She is able to really figure out what the conversation is that’s happening in the world, so this season we’re talking a lot about corruption within the penal system and how that can end up affecting those who are incarcerated and the world of prison culture generally. She handles it, I think, quite beautifully, and I think audiences—whatever they have come to know the show to be—are just not ready [laughs]. They’re just not ready. To what would you attribute the show’s success? I think that because it has so many different faces to it, people of all walks of life connect to it. It has racial diversity, women, sexual orientation, gender issues, age, size…all of these things are addressed and handled in a really interesting, smart way. I think people are surprised by how much they’re connecting with all of these women, and they see a piece of themselves within one or more of the characters. And I think it’s also a really, really beautiful balance that Jenji struck of light and heavy, that balance of comedy and drama, that sort of push-pull that is constantly there and ever-changing and keeping the audience on its toes. When you meet these characters at the beginning, you think you have a real idea about who they are; then as the season starts to peel back, you realize they are so much more than their crimes and more than the women they present themselves to be inside the world of Litchfield. They have really long, vast stories. Why do you think Suzanne is such a fan favorite? I don’t know. I really don’t [laughs]. I love her because of her openness and her honesty and her truth. I love how much she is herself—for better or worse, accepted or not accepted. I love that honesty she has with people. She is entirely her: her passion, the depth of her love. I think that’s what I love about her. Tell me about your four years at Boston University. I’m so proud of BU. I loved BU. I’ve been seeing a lot of BU students who are here for the second semester study abroad program, which is really, really sweet. I am forever indebted to the teachers I met there and, frankly, a lot of them made me the actor I am today, the artist I am today. You were a track standout at BU and ran the Boston Marathon last year. Do you plan on running another marathon? Next year I might run the Boston Marathon because my siblings came out to support me when I ran last year and they got the bug, so we may do it in 2017. What do you miss most about Boston? Where did you go on vacation with your family as a child? Marshfield. [We’d] stay in a cottage by the water. There were five of us kids and we’d share a room. We’d go for walks in the woods, ride our bikes, get logs on the beach and lay a plank of wood over them and make a balance beam. It was great. 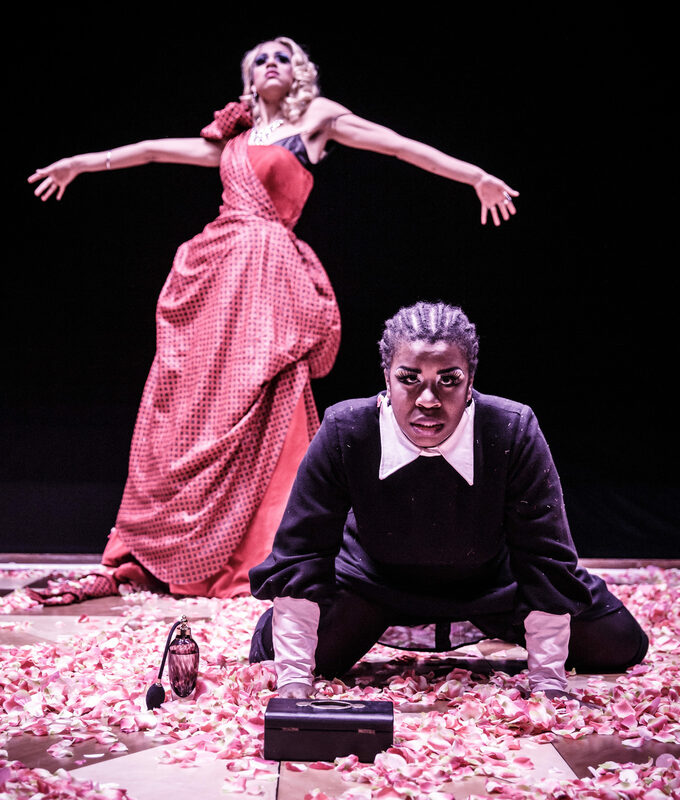 Zawe Ashton and Aduba in The Maids. I love, love, love to read. I’m always up for reading anything. I don’t have a favorite genre or anything. And I love to wander and walk. I used to love to knit, but I don’t do it as much anymore. Is there anyone special in your life? Not at the moment. And I wouldn’t say even if there was [laughs]. I’m going back to Orange for season five—at least I hope I am [laughs]—and I have two movies coming out. I made a movie called American Pastoral with Ewan McGregor, Jennifer Connelly and Dakota Fanning that comes out this year; another film, Tallulah, with Ellen Page and Allison Janney, debuted at Sundance this year and is already picked up by Netflix. I just like to tell good stories and do good work. I’m very grateful that good stories and good work have been coming my way, and may it continue.